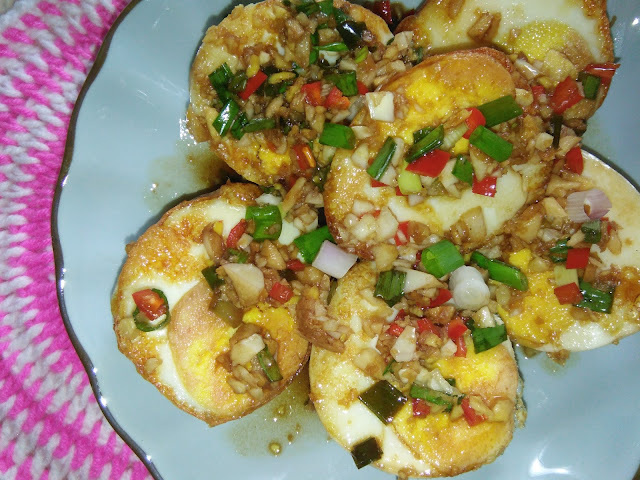 This is a very simple egg dish where hard boiled eggs are shallow fried to brown and splashed with sauce. 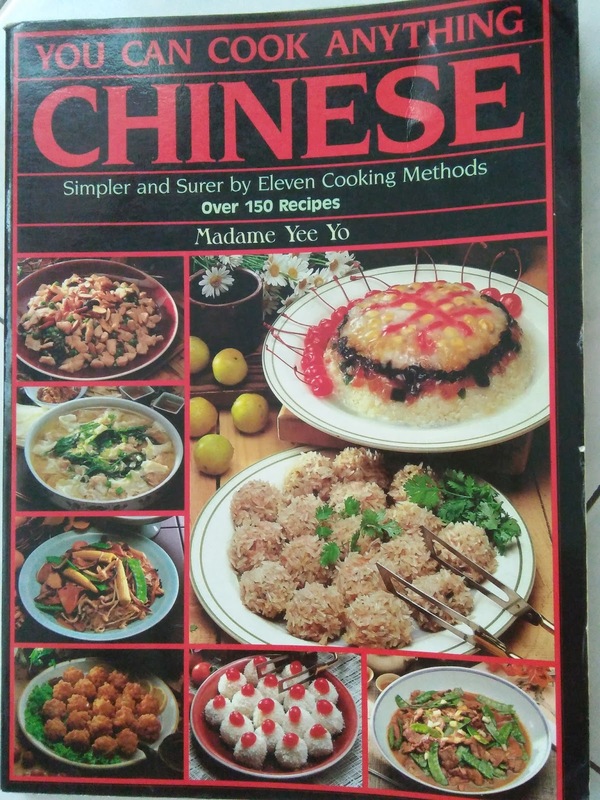 According to the chef, ’splashing’ is of the many supportive or auxillary methods of cooking which are no self-sufficient cooking methods. Splashing is abruptly pour liquids [water, wine or seasoning] over food toward the end of Stir-frying or Shallow Frying. Because splashing is done when food is very hot, it absorbs the flavor in a special way which makes the taste quite exciting. Splashing wine [1 teaspoon] towards the end of any stir-frying or shallow frying, it does make the taste different. 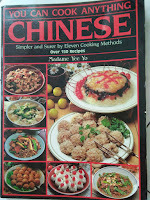 Another recipe which applies this splashing method was earlier shared [here]. 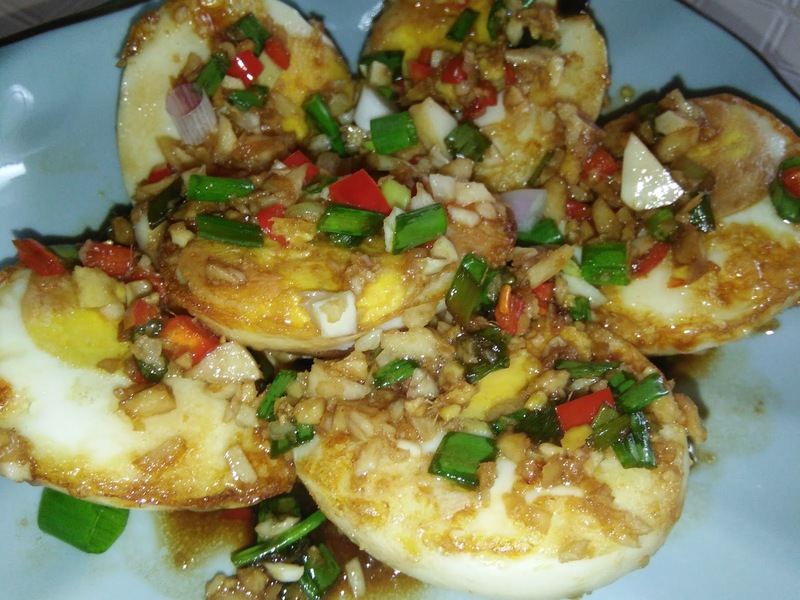 This egg dish is easy and fool-proof yet the result is awesome, yummy, yummy good. 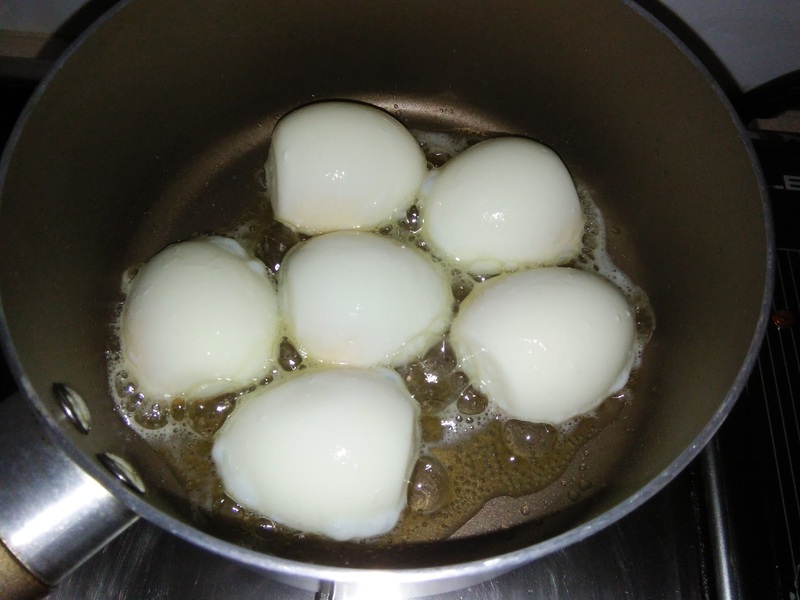 You can cook up to 8 eggs with this sauce. Peel eggs and split into halves. 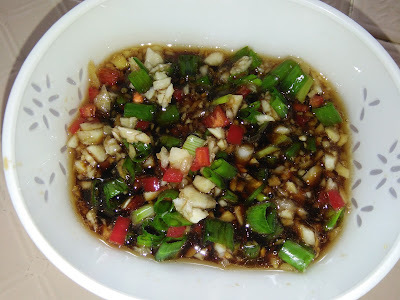 Heat a non stick wok with 1-2 tbsp of oil until hot, swirl the wok to distribute the oil. 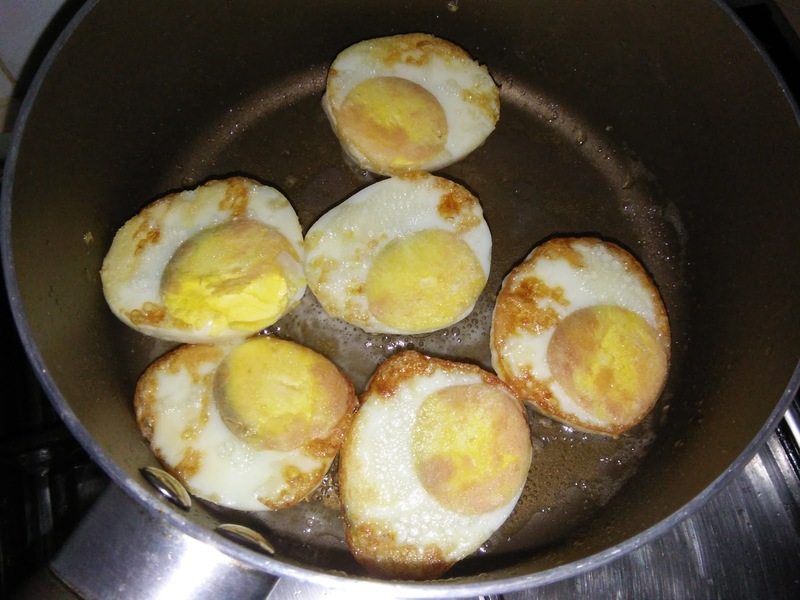 Lower to medium heat, place the eggs, cut side down and fry until brown. Turn and repeat. 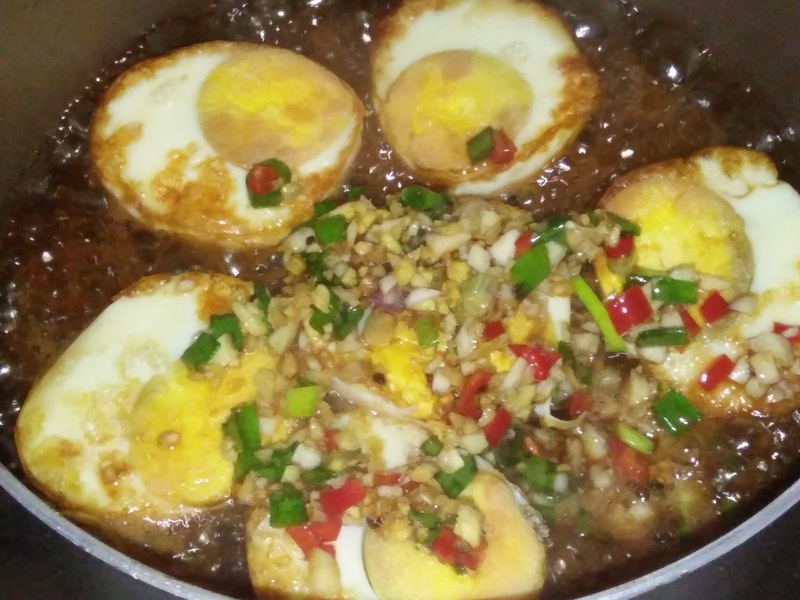 Pour combined sauce over fried eggs, then off heat and dish up to serve. Kimmy, this is a very interesting dish. I love hardboiled eggs and I am keen to try splashing them too! 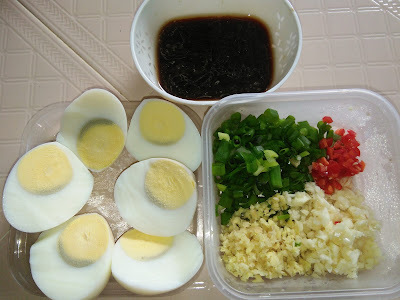 Hi Phong Hong, this garnishing sauce can be used for splashing not only fried eggs. It is also nice on fried spring chicken and fried fish fillets which I have tried and posted the recipe too. Simple and easy yet awesome. 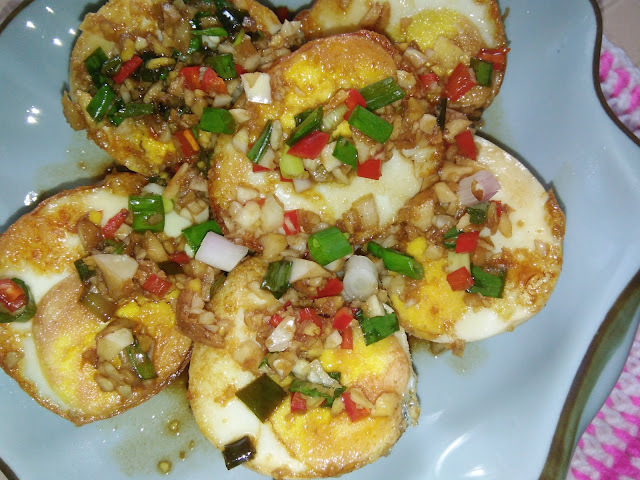 Do try it and you may like it too. I like the sauce ingredients, so I will definitely like this dish! Hi Joyce, this sauce is another good option instead of preparing fried hard boiled eggs in sambal tumis sauce. Quite similar to the Thai Son in-law Fried Eggs but I like this one with a sourish flavour. This is a new idea for me - thanks! Hi Carole, as I mentioned earlier, the splashing sauce goes well with fried chicken, fish, perhaps prawns too. Do try.